Johnny Craig - 55 x 38 cm. 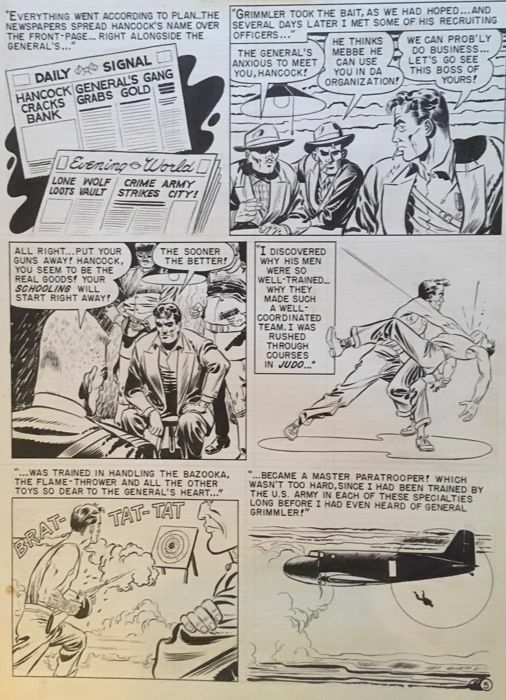 A beautiful page by EC legend Johnny Craig. 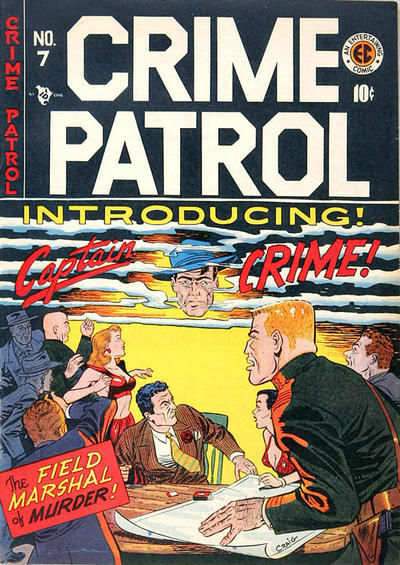 This story also featured the First appearance of Captain Crime. Oversized size, 55 x 38 cm with an illustrated part of 45 x 32.5 cm. 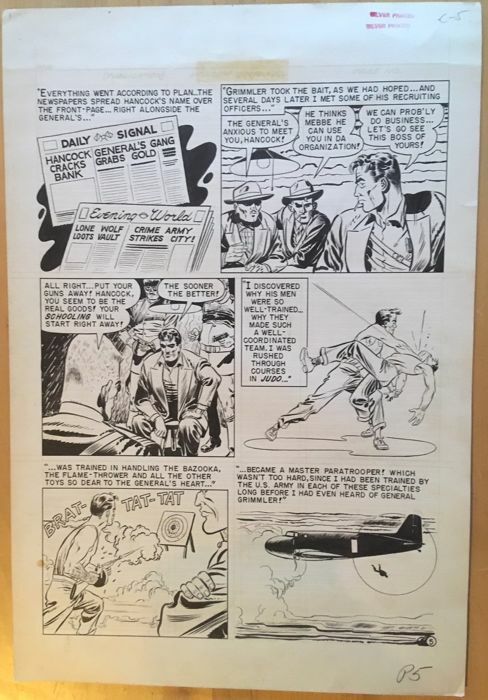 The printed comic is shown for reference - not included in this lot.